We Now Review Miss Literati Stories! Well, if you do have an account and have some pretty great stories on there, we'd LOVE to review them! 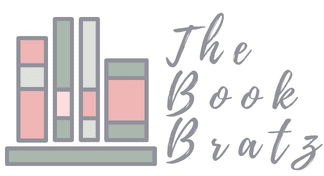 If you have a finished story on Miss Literati that you want reviewed, email the link to us at thebookbratz@gmail.com. Put your Miss Literati username in the Subject bar. 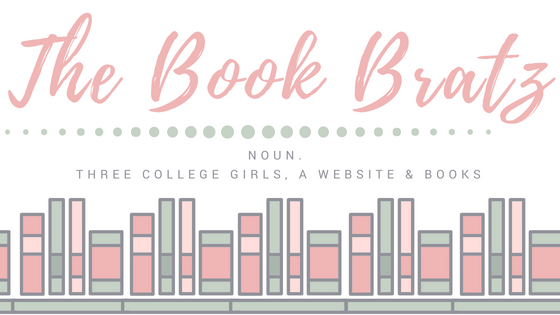 If you have any other questions, you can find all of the details and our past Miss Lit reviews here. First of all, you guys are probably wondering why the heck I'm so late to review Just Listen by Sarah Dessen, especially since it came out in 2006 and isn't really all that new and talked about in 2013 (but of course, Sarah Dessen is always talked about because her books are fabulous). But don't worry, I have an excuse: This book is on my school's summer reading list this year, so I jumped at the chance to reread it. Yeah, I said reread. 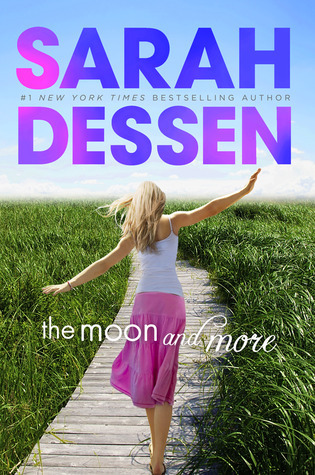 I normally hate rereading books, but Dessen is so good of a writer that I'll gladly reread Just Listen again and again and again and again, and I won't even get bored of it. This book was possibly even more amazing the second time around. 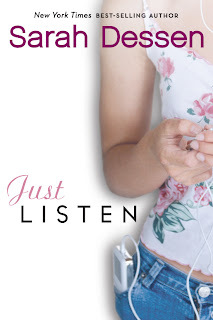 The last time I read Just Listen was two or three years ago, so I didn't remember the plot that well (I know--since I'm a book nerd, I should be ashamed...but in my defense, I read a lot of books!). Therefore, it felt like I was reading the book again for the first time. Let me just point out that Dessen is excellent at making her characters seem realistic. Most authors have trouble mastering the art of an everyday high school teen, especially since most of them aren't even in high school at the time that they're writing their story--but we'll make an exception for S.E. Hinton. Dessen somehow just does it. She creates the perfect characters that seem totally realistic (and more often than not, have interesting, uncommon names). I loved the whole plot for this. On top of Annabel meeting Owen and struggling to become the person that he wants her to really be (instead of the famous model vision that her mom has for her), her sister Whitney is suffering from anorexia. Dessen deserves a round of applause for touching on such a sensitive topic and nailing it. She didn't go over the top. She made Whitney's recovery progress go by at the pace it should be going. I've read stories that have dealt with anorexia and have made the characters starved and sick one week, and then all of a sudden they snap out of it and make themselves eat again and get healthy. No. That just doesn't happen. Dessen made sure that Whitney was recovering, but she didn't just wake up one day and decide that all was right with the world and she was going to eat again. It was happening slowly, in steps, just like it really would. As for Annabel's story--I love Owen's character. Even though he has a bad-boy rep, he's sweet and kind and caring and tells the truth and encourages Annabel to do the same. I can say that I wish I had a friend like Owen--he really helped Annabel discover who she was. In the end, I loved the story. Like I said, I'll read it again (and again and again and again...)! I'd love to stay, but I gotta run! Talk to you all soon! Ahhhh, a modern day retelling of Romeo and Juliet by William Shakespeare. I recommend that you have read to original before this because you will be easily confused. I read Romeo and Juliet in English class this year so it was easy to understand but when I picked it up when it was first published I was confused. In modern day California Juliet is placed into a teenage girl, Ariel's, body. She is an agent for the ambassadors of light. To keep true love pairs together and out of the hands of the mercenaries. For 700 years she had fought Romeo ( who is a mercenary) for the souls of true lovers. Shakespeare got the whole story wrong though. True love didn't kill them. A chance at immortality did. When Juliet falls in love with a boy she is forbidden to love Romeo does everything in his power to destroy it. Even if it mean destroying the girl he loves. 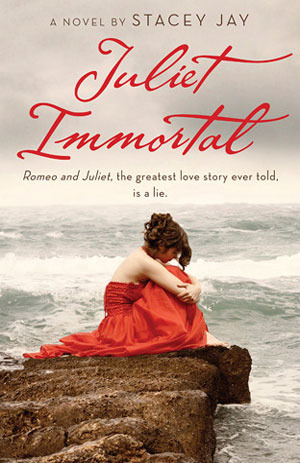 This book made me wonder if Romeo and Juliet was actually fictional or maybe did some similar take place for Shakespeare to write the tragedy. The book opens to Juliet awakening in Ariel's body after a car crash next to a boy. As Juliet goes through Ariel's memories and discovers that the boy, Dylan, was only taking Ariel out on a date to give up her virginity to him so he could win a bet. Ariel in a rage grabs the wheel and flips them off the road and into a ditch. Dylan awakes though and pretty soon his hands are around her throat choking the life out of her. Dylan is dead and Romeo has taken his spot. Juliet barley manages to get away and when she does she almost carjacks a boy named Ben who she feels a instant connection to him. But Juliet is in Ariel's body and living Ariel's life with no contact to the other ambassadors to know who the two lovers are she is there to save. She figures it out on her who they are. The lovers happen to be, Gemma, Ariel's best friend and no other then Ben. Romeo though find Juliet again and tells her that there is a spell to get them out of their work and into their true bodies (Mind you, they been dead for 700 years enclosed in a tomb) for all of entirety. But they price? Juliet has to love Romeo for the spell to actually work. Is Juliet capable of loving the boy who killed her or has she fallen in love with someone else? Stacey did well at developing her characters and setting. Juliet especially Her hate for Romeo, love for Ben, and everything else in between made me feel connected to Juliet. I can't wait to read the squeal! A lot of people weren't pleased with this book, but I actually was. It had my attention the whole time. Some people were saying that it just didn't catch their attention, but like I said--it was the complete opposite for me! I'd read Cinder, the first book in The Lunar Chronicles, last year. 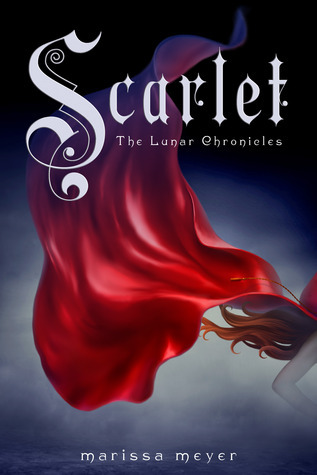 So when I started Scarlet, I was a bit weary because it'd been awhile since I read from this series and I wasn't sure if I'd remember everything from Cinder, or I'd be completely lost. So can Scarlet really trust her missing grandmother at all anymore? So how do I feel? I really liked this book. I finished it in a little over 24 hours. I started it on Sunday morning, and I finished it on Monday night. There were no (in my opinion) slow and/or boring parts of the book. There was always something going on, and my attention was always captured. I'd have to force myself to put the book down when I started going cross-eyed. Even then, I only took about a half-hour break before I found myself picking the book up again! The only reason that I gave this book four stars instead of five is the fact that certain scenes of the book sort of annoyed me--no, not really annoyed...more like left me hanging. And on this blog, the definition of 4 stars is "A definite must-read," which I totally agree with! If you haven't gotten your hands on Scarlet yet, definitely pick it up! But make sure you read Cinder first, or you'll be totally lost! All in all, big round of applause for Meyer (No, not Stephanie--Marissa!) for pulling off another great book. I can't wait for the last two installments of The Lunar Chronicles, which will be Cress in 2014 and Winter in 2015. I'll definitely be checking those out, too! It's springtime in suburban Rosewood, which means iced soy lattes, fresh manicures in shimmering pastels—and prom. 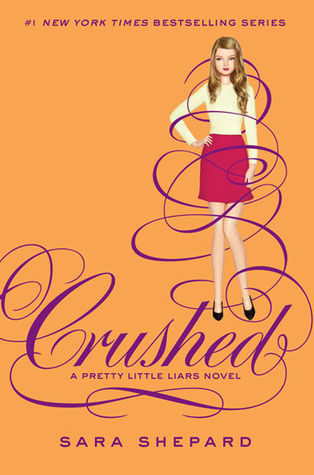 But while everyone else is flipping through the racks at Saks in search of the perfect dress, Hanna, Spencer, Emily, and Aria are on a different kind of hunt: They're looking for A. . . .
Hanna puts her campaign for prom queen on the back burner to volunteer at the burn clinic, where one of A's victims is recovering. 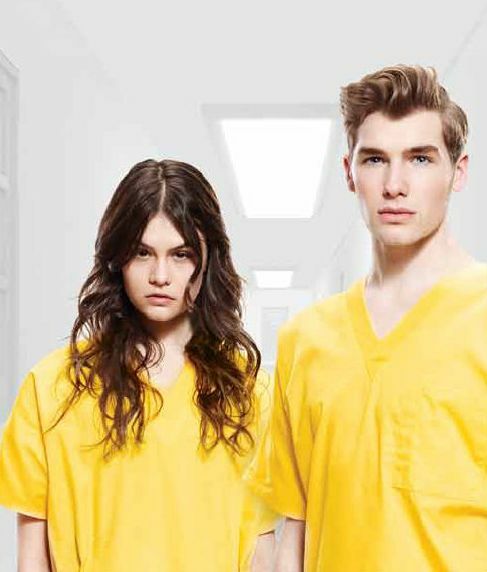 Emily digs into Ali's past at the mental hospital with some very crazy consequences. Spencer contacts a private eye to help her stalk her stalker. But when their sessions get a little too private, they may forget to keep their eyes on A. . . . And Aria's worried that A is even closer than she thought. When her dark secret from Iceland finally comes to light, she discovers that maybe, just maybe, the one person she's been trying to hide the truth from has known all along. In the prologue we learn a ugly secret that Aria and Hannah have been hiding since their Trip to Iceland. Aria met a boy, and learned about a practice painting of The Starry Night by Van Gouh stolen by the French. In mansion near by held the painting and Aria got the idea in her head they should steal it back. Lets just say Aria made it out and this boy didn't when the alarm sounded. Back in Rosewood after the trip the girls are still tormented by A. When they finally suspect that A is working with someone else their new goal is to track them down. Emily has to get information from Iris (a patient at the mental hospital Ali spent time in. She suffers for Anorexia Nervousa) We learn from her that Ali had a secret boyfriend, and had he had come to visit every so often. 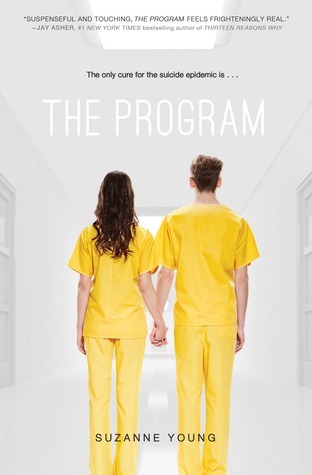 Hannah has to volunteer at the burn center were Graham is being held (He was in the last novel Burned) Spencer is trying to track down A by teaming up with a conspiracy blogger and Aria needs to get information out of Noel. Of course Tabitha's murder case isn't helping. Even though they learned in Burned that Tabitha being pushed off the building in Jamaica didn't kill her, blunt force trauma to her head did. But now Agent Fuji is on the case and determined to get the answer she needs. And when she starts to question the girls it is only a matter of time before their secret comes out. I can't say more with out spoiling the rest of the story. But once again Sara Shepard managed to shock me. I been a Pretty Little Liars fan long before the show came out. (Though I am a huge fan of that too) I can't wait for book #14! I don't know were this book would land on my rating scale. I liked it but I didn't like it. On good reads I rated it two stars but two stars on here mean: "Ehhh. I have read better and this didn't really keep me occupied." The book was well written and had a lot of potential but the only fantasy aspect was in the last 15 pages of the book! So I read about 498 pages of the novel were her dedicated to her obsessing over Caspian. In the beginning when she is falling into a depression after her best friend, Kristin's, death I felt bad for her. I don't know what if I would do if I lost a good friend. But she survived. With some help. I am going to keep this review short cause I don't have much to say for the book. I am going to read the sequel but I really hope it is moves faster. 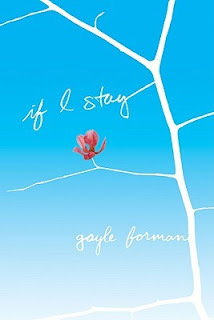 Alright, I was planning on giving this book two stars, but I was sort of swayed because on this blog, three stars means "It was okay," and that's exactly what I felt about this book. It was hard to keep up and it was super-duper frustrating. Well written, but super-duper frustrating. Micah is a senior in high school. And her after-hours boyfriend (who has another girlfriend named Sarah during school hours--which Micah knows and is totally okay with, which is just plain wrong!) is named Zach and he was found murdered. At first, nobody knows how he was killed. Later in the book, however, *teensy spoiler alert* they find out how he was killed, by whom, and where. 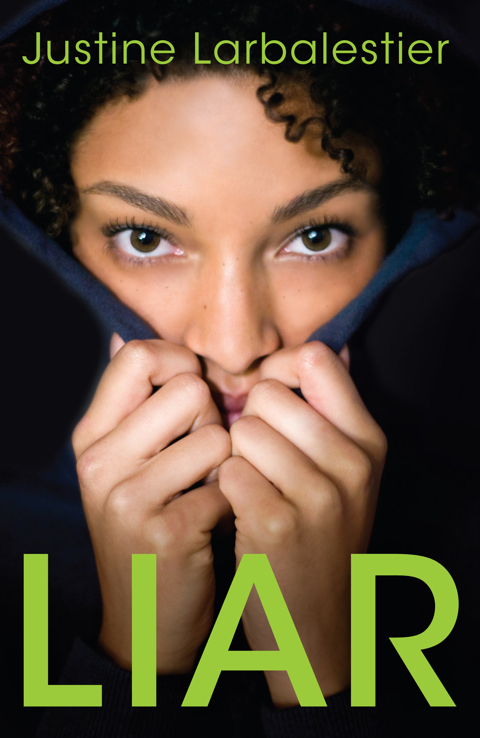 The story is told in the point of view of Micah, who is a compulsive liar. It's really bad. I thought it would be a few white lies here and there, and then some major ones. But no, it was frustrating and much worse. But more on that in a second. So, immediately, a boy at school named Brandon lets it slip that Micah was Zach's after-hours girlfriend. So the mocking and taunting begins--not to mention the obvious hurt radiating from Sarah, who as I mentioned earlier was Zach's public girlfriend. So who do you think everyone assumes killed Zach? That's right. Micah. But (or so she claims) she didn't kill Zach. This book is so confusing and frustrating. I honestly had to force myself to finish it. I know that Micah is a liar, but this is too much. You'd read a chapter, and then a hundred pages later she'd say "Remember that? Oh yeah, that was a lie. This is what really happened." And then even LATER, she'd mention "Remember when I told you that part was a lie? Well, that's a lie, too. It really went like this." For all I know, the entire book could be one giant lie. "Once I finished the book, I was left with questions that will never get answered. The lack of answers is disappointing and left me dissatisfied." I don't want to spoil the plot for you, so it's hard to explain my frustration without ruining the book for you guys. But hopefully you can get a gist of what I'm trying to say. And the book was so weird in general. Some scenes were just gross and/or weird. I reaaallly want to explain it further and not be so vague, but like I said a million times already, I don't want to ruin the plot for you. However, I wouldn't even advise taking this book out of the library. The actual writing skill of Larbalestier isn't poor at all. But the plot is just a jumbled up mess. With all of these lies, it became so hard to keep track. But since I never ever give up on a book unless I really have to, I forced myself to stomach it and just tough it out. I was counting down the pages until it was over. Ugh. Now that my blood pressure is raised from the frustration of writing this review, I'm going to sit outside in the sun and tan while reading Scarlet by Marissa Meyer. So what's this book about? Mia, a typical teen with an uncanny talent for the cello, is taking a car ride on a regular snowy day with her family to go visit some good friends when their car gets rammed on the road. Instantly, Mia's parents die. But the strange thing is that Mia sees all of this...when her body is lying in the car, sliced and bruised and broken and damaged. Your first thought is Oh my gosh, Mia is dead, right? Her spirit is watching the aftermath. But no, you're wrong. It's not quite like that. Mia isn't dead, but her spirit has left her body. Her and her brother are both still alive but badly hurt, and her parents are announced DOA. So now Mia watches as her body is laying in ICU, while she goes through surgery, and while family, friends and even her boyfriend Adam visits her. She realizes that even though the doctors and nurses are trying to help bring her back to consciousness and life, she's the one who runs the show. She's the one who controls if she lives or dies. The question is...which does she want? To live or to die? The only other part that I wasn't really keen on was the fact that the flashbacks were out of order. Throughout the novel, we bounce from seeing what Mia's spirit is seeing in the ICU to flashbacks and memories that she recalls with friends and family. However, the order of the flashbacks was a bit wacky and could have been organized a bit better. For example, one flashback would be based on a couple of weeks after Mia goes to an audition for a school *another teensy spoiler alert*...Julliard, of course. Then, the next flashback would be based years/months before the audition. And since the flashbacks were in no way truly tied to one another (in other words, there was no sequencing based on the year), it really would've been more organized if the pre-audition flashbacks came before the post-audition ones. *Let me just point out that I'm not the only one that noticed this, so I'm not just trying to pick parts of the novel to pieces! Well, I have to curl up with some hot chocolate and a good book to entertain myself for the night. Goodnight and see you all soon! Suicide and Depression are at an all time high. Kids killing themselves for not reason at all. They suddenly become depressed and kill themselves. It is a virus. And the only way to be cured is to be taken to The Program. I pretty much bawled my eyes out for most of the book, then I was frustrated and mad and probably other emotion in between. Teen suicide is something that hits close to home for me and seeing a author take it on, well it brings so many emotions to me. It is nice for a change to see someone tackling this idea and morphing it into an amazing Dystapian novel. This is the first time I am reading one of Suzaane's works and she is an amazing writer. I felt like I was part of the book. The characters were so real and the issues. Suffering from depression myself she his the nail on the head with the emotions of her characters. "Depression is setting in. They're coming for them. It's only a matter of time before there'll be...nothing left." James and Sloane's relationship was real. It wasn't forced. You saw in the beginning of the novel and through flashbacks how much they loved each other. But sometimes love leaves the most painful memories of all, especially the baggage left behind. James was Brady's, Sloane's brother's best friend. Two months before Brady committed suicide James and Sloane started to sneak around. At first Sloane and Jame's didn't want to complicate things further, but the heart wants what the heart wants. "What did they erase this time? It wasn't theirs to take." After a friend dies, James slips into a depression and the program comes for him. Sloane knows this is the end. They will erase his memory like they do to everyone else. But she hangs on to the little bit a hope that he some how will remember her. Soon The Program is after Sloane and will she even remember James? To complicate things further add another boy in. Realm is also a patient at The Program and befriends Sloane. But as Sloane forgets James and Realm has the chance to move in things will change. I can't right anything else with out giving the whole book away. Really, I suggest you read it. This is one of those books were it leaves you reading through the night. One moment it is ten at night and then the next moment it is four in the morning. It is heart breaking story that shows, through Science Fiction the outcome of suicide and the emotion of depression. Holy fudge! I just finished this book about an hour ago (and then promptly spent half an hour texting/posting/Tweeting about it) and I'm still in awe. Dare I say that this is possibly the best Dessen novel yet? Some may disagree, but I'm still standing by my opinion! First off, Dessen has this way of writing stories that are romantic and realistic, but not overplayed or too cliche. She is an excellent author, without a single doubt. You truly feel like you're living in her novels--and believe me, reading a Dessen book basically gives you a free ticket to an emotional roller coaster that you can't exit even if you tried. As for The Moon and More, I loved visiting Colby again! There's just something about a quaint beach town that makes me long to go there. Dessen's characters, Emaline especially, are so well-written that they feel like they can be anyone. Now, fast-forward. Emaline emails her father and gets in contact with him again. He does all that he can to help her get into a college and get out of Colby, even offering to pay the tuition. Surprisingly, Emaline gets accepted into Columbia. And then her father goes M.I.A. If you just read that last sentence and went WHAT??!?!?!?!? !, that was my exact reaction! Emaline's father totally stops emailing and contacting her. He even skips her graduation. Now fast-forward a little more. Emaline and her boyfriend Luke seem to have the perfect relationship, and Emaline has a steady job in the family realty business. Enter Theo, a New York filmmaker who is assisting a famous cinematographer. And Emaline starts to realize that her perfect relationship with Luke is starting to falter. Uh-oh. There are tons of little sub-plots that would take me all night to explain here, so I just suggest picking up a copy and reading it yourself...trust me, you won't regret it! As for my thoughts on the characters/plot? Despite what some people may say, I really didn't like Theo at all, even in the very beginning. Some would argue that Luke was a bad character because he cheated on Emaline--but no, that isn't the case. Theo seemed like an arrogant, know-it-all to me. Then again, that can just be me. Bottom line, every girl should read this book. That's it. I don't even know what else to say. No words can truly give this book the glory it deserves. Now, if you'll excuse me, it's time to get back to reading Twisted by Laurie Halse Anderson!